A brilliant home in a location to match, this four bedroom house features the expansive interiors and outdoor entertaining domains that growing families will love. Be pleasantly surprised by this substantial home (nearly 50 squares) comprising a spacious open plan lounge and dining area and a generous central kitchen/meals with Bosch stainless steel appliances, all overlooking the fantastic, sunny north facing and low maintenance rear yard featuring a stunning pool, all perfect for sophisticated entertaining. The four great size bedrooms, upstairs the master bedroom features a generous WIR, 2nd and 3rd large bedrooms both feature BIR's and share the upstairs central family bathroom. 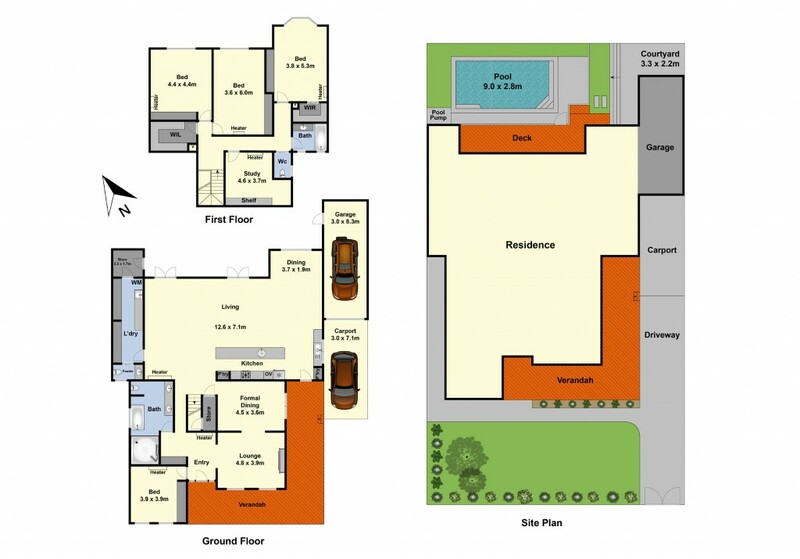 Upstairs you will also find a sizeable study with bookcase and a large walk-in store room. Downstairs the guest bedroom with BIR enjoys access to the deluxe and spacious bathroom. Other features of this home you will love are the solid timber floors, ducted heating and cooling, hydronic heating, very large laundry with loads of storage and bench space, 3rd toilet, mud room adjoining pool area, formal dining area with another living area adjoining, single remote garage with space for a work bench, car port. Importantly, location is second to none, a neighbourhood amongst quality homes and easy access to fantastic schools and shops and located close to the Geelong Ring Road and Princes Hwy.